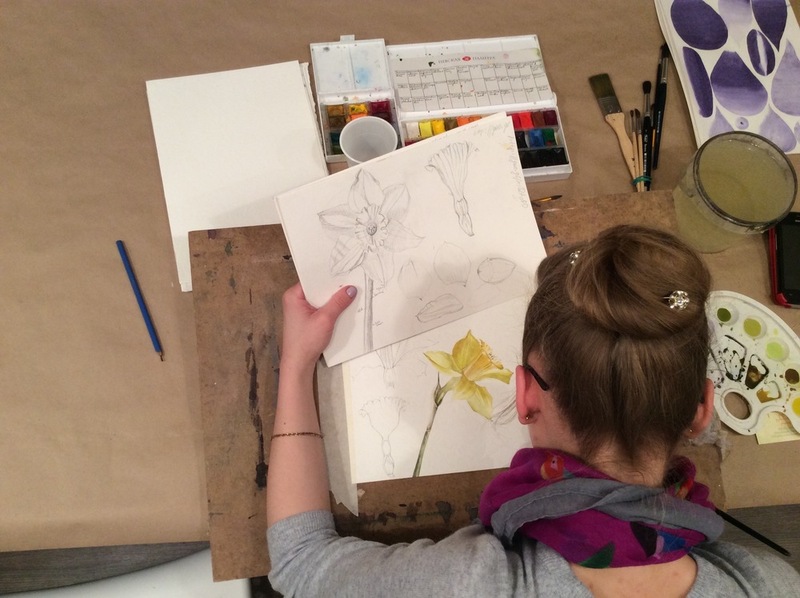 Learn basic drawing skills and watercolor techniques to create a botanical illustration. 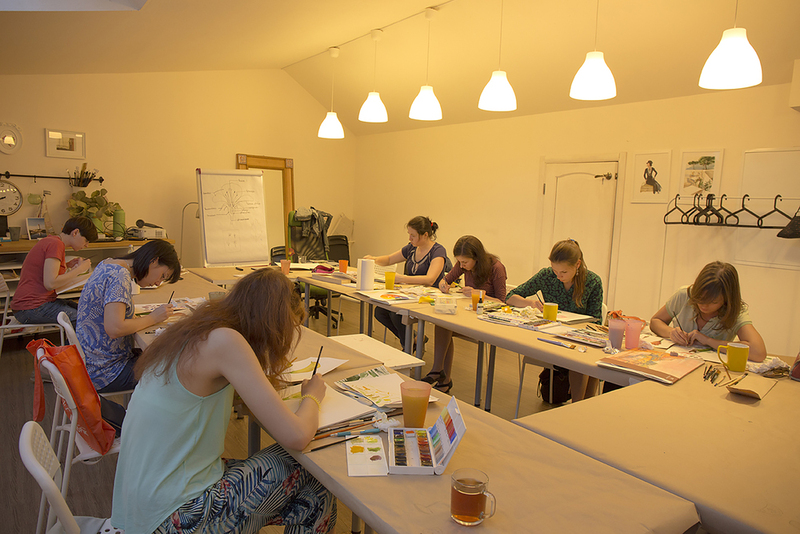 Evolve basic drawing skills through studying and sketching a plenty of leaves, vegetables, flowers, and branches from the nature. Suitable for those with no or little experience of painting with watercolor, and for those who wish to improve the skills of botanical illustration. 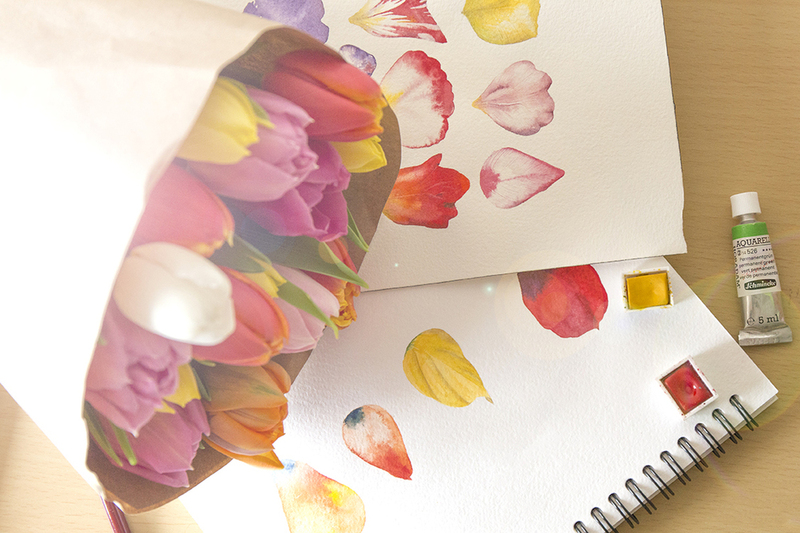 A lot of exercises will give you certitude in drawing the flowers. Maximum of 8 students in take. 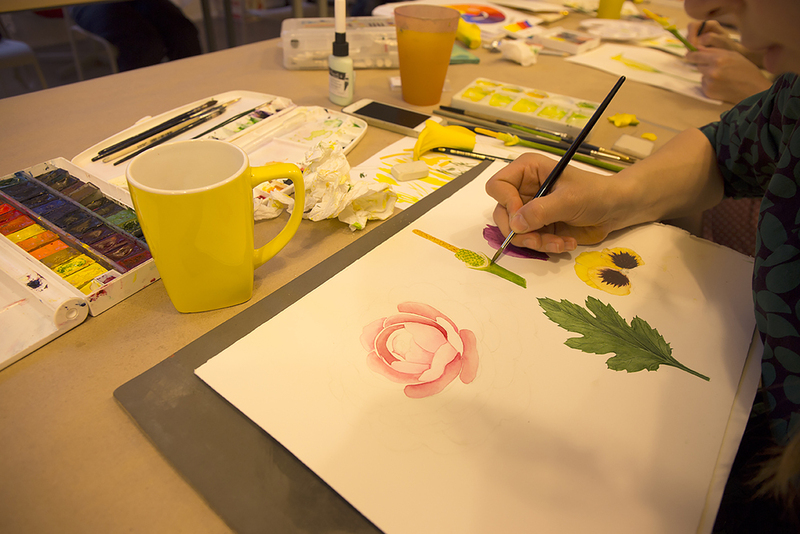 I'm looking forward to share all my knowledge about watercolour painting with you. 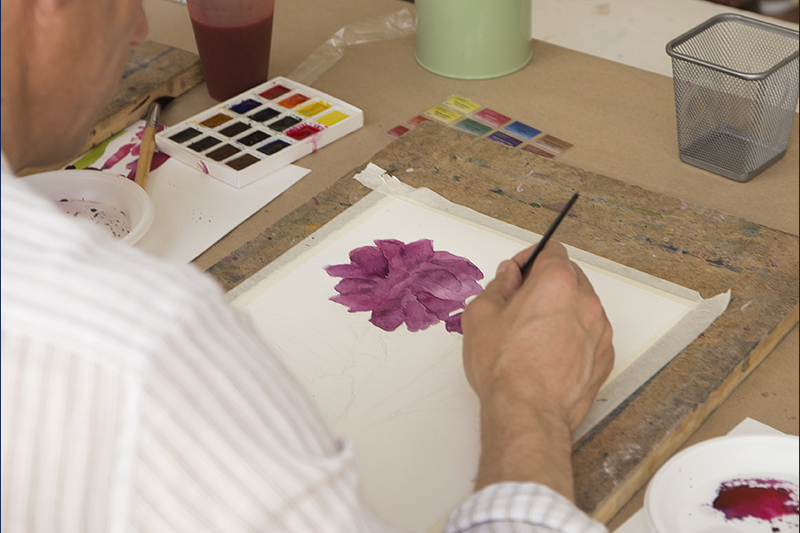 We learn basic drawing skills and watercolor techniques to create a botanical illustration of Lily flower. 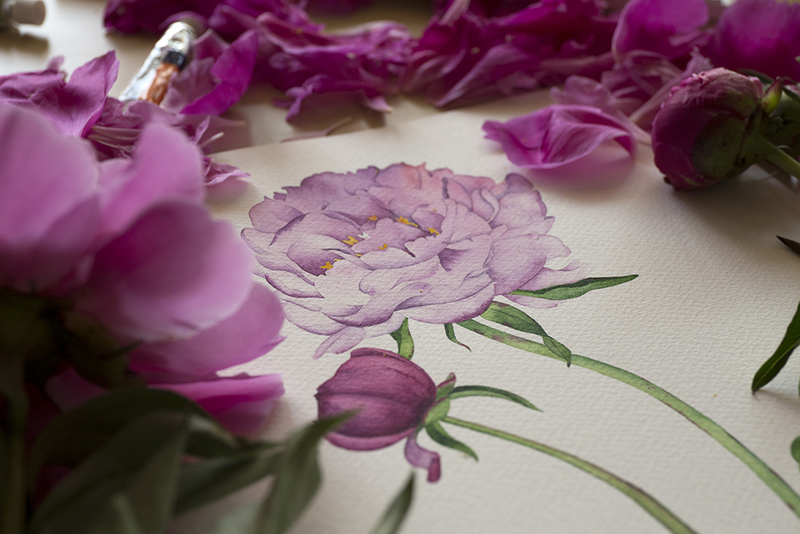 Study the features of Peony flower and paint them, creating a detailed watercolor portrait of a single flower. 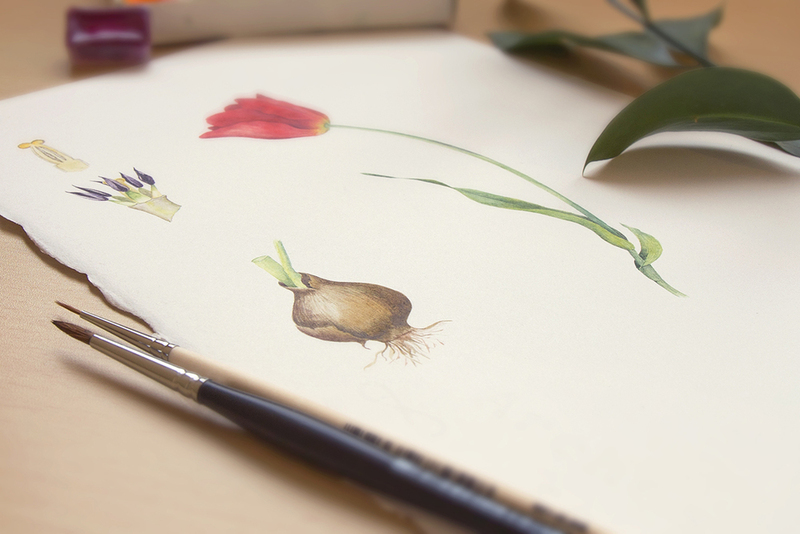 Learn basic drawing skills and watercolor techniques to create a botanical illustration. 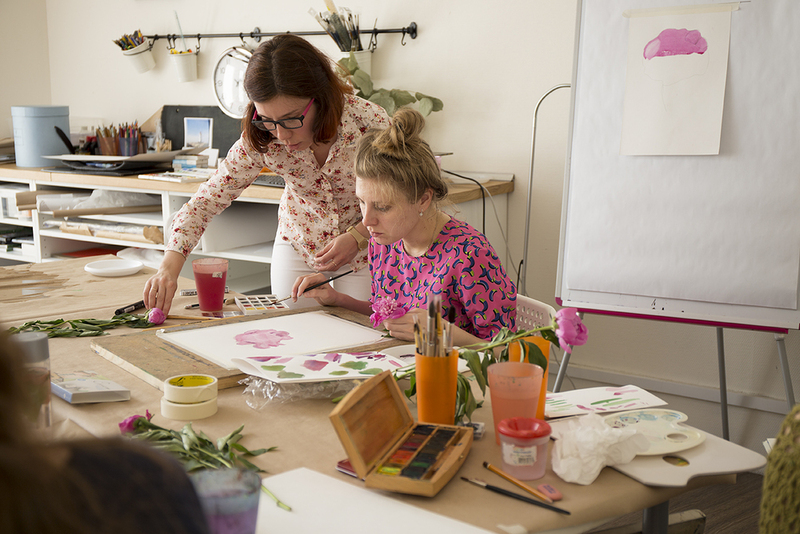 Develop basic drawing skills through observing and sketching a variety of leaves, blooms, and flowering branches from the nature. 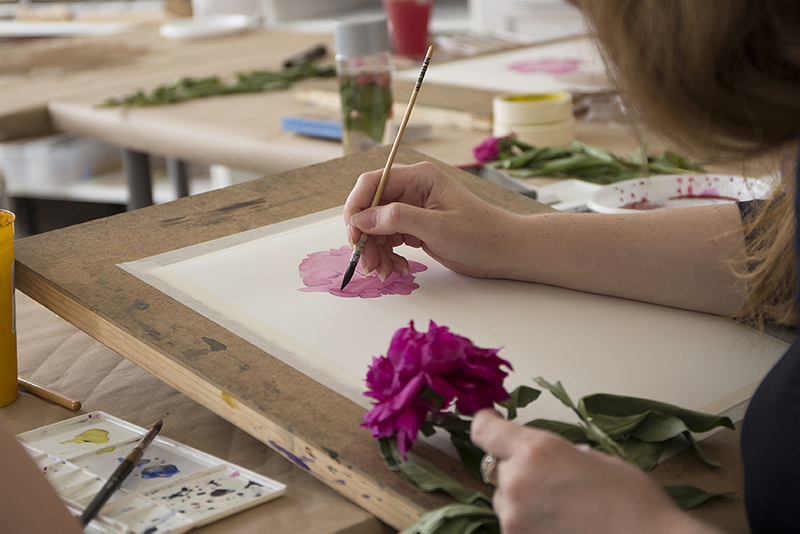 Suitable for those with no or little experience of painting with watercolor, and for those who wish to build confidence in the skills of botanical illustration. Maximum of 8 students in take.